Vietnamese Border Guard agency confiscated some 800 tons of wheat, which were found illegal, because two lighter barges, loaded with 500 and 300 tons of wheat, didn’t have the required license, a local news agency reports. 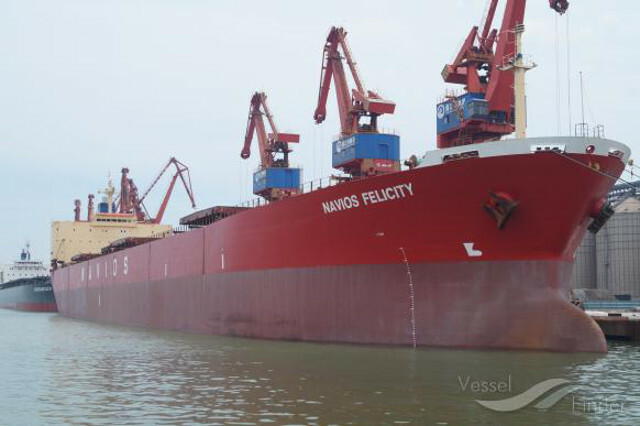 Wheat was offloaded from bulk carrier Navios Felicity during her stay in Phu My port, north of Vung Tau, in late May. Local company running those barges is a suspect in massive smuggling business. Freighter seemed to leave port without any dispute or conflict, though the barges, according to officials, were inspected right after lightering operation, and skippers of the barges couldn’t produce the required papers. Confiscated wheat is to be auctioned.